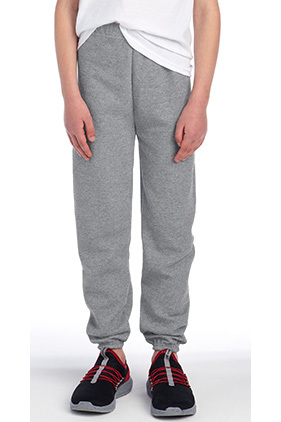 50% cotton/50% polyester NuBlend® pre-shrunk 8 ounce pill-resistant sweatpants. Covered elastic waistband (no drawcord on youth fleece for added safety). Elastic ankle cuffs. No side seams. CPSIA compliant.